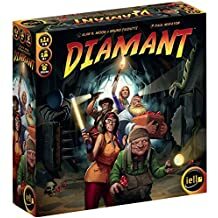 Diamant is a quick, fun game of push-your-luck. 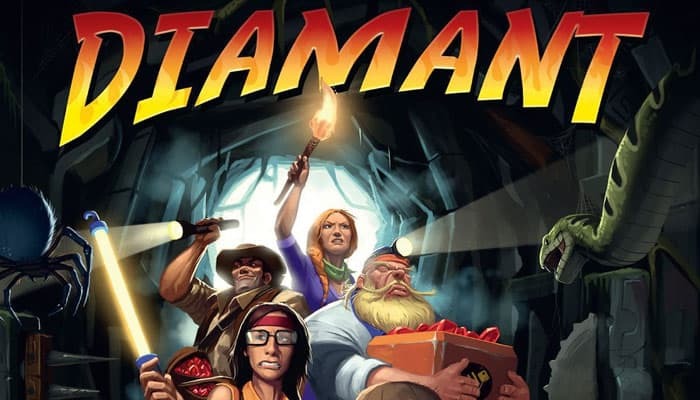 Players venture down mine shafts by turning up cards from a deck, sharing the gems they find on the way down. Why would you leave? Because the deck also contains hazards: scorpions, snakes, poison gases, explosions and rockfalls. When a duplicate hazard turns up (such as a second scorpion), anyone left in the shaft has to flee for safety and loses all the gems they got this turn. 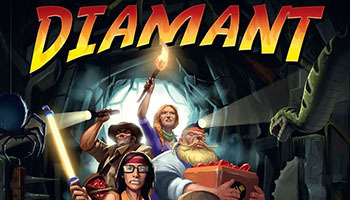 Diamant takes you on an expedition in the Tacora Cave, known for its diamonds... but also for its formidable traps! Venture to the depths of the cave and decide, step after step, to follow your path or return prudently to the camp to safeguard your treasures.